Jeanne Goken is Founder and President/CEO of FutureCom Technologies. Founded in 1994, this certified Woman-owned Business Enterprise provides intelligent telecom for business - helping companies create a dynamic, effective phone business front and call management system that actively contributes to their business?s success and growth. FutureCom Technologies offers a comprehensive service ensuring all telecom needs are taken care of for each customer, including basic infrastructure and equipment, tailored call management, mobility, and disaster recovery, utilizing Comunify®, our cloud-based unified communications platform. 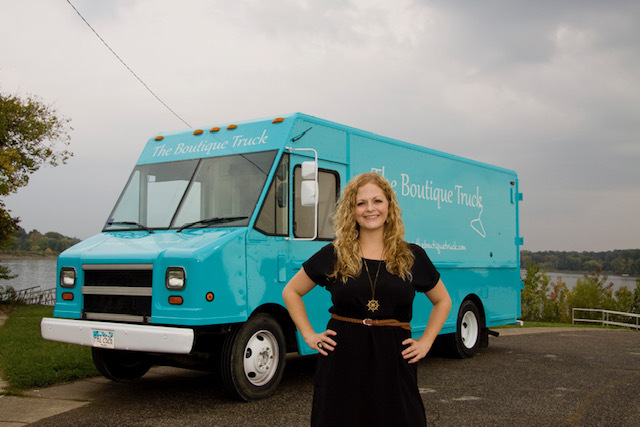 Catherine Turner is the owner of The Boutique Truck. The Boutique Truck is Columbus' first mobile fashion truck offering unique and affordable apparel and accessories to the trendsetting woman on the go! Catherine has always had that entrepreneurial itch, and after discovering similar fashion trucks along the West Coast she believed this was an up and coming concept that would be received with open arms in the Midwest (and the perfect way to finally own her own boutique?a lifelong dream!!!). So?nine years and four jobs later, it had finally clicked! Catherine realized this was what she was looking for, this was her dream?and The Boutique Truck was born! The Boutique Truck carries the latest in women's fashion apparel and accessories, introducing numerous unique designers to the area, as well as showcasing talented local designers.